The best recording software for monitoring and archiving your phone calls in your business is usually a subjective matter. It really depends on what you will be recording, how, and why. There are a lot of great solutions out there, it is just a matter of taking the time to understand your needs and then finding a solution that solves those needs but also doesn’t hurt your business in the process. When trying to figure out the best recording software to record your business phone lines there are a few additional questions you want to take into consideration. How easy is the software to integrate into our current telephone system? Does it record my type of line? VoIP, Analogue, T1, E1, etc? Can it record trunk side? Individual Handsets? Extension information? How difficult will it be to train my managers? Will it increase my productivity or hinder it? Can I use it as a coaching tool? These are important things to consider….most businesses think you can just put up a server, plug a phone into it, and that’s it. But unfortunately, a call recorder needs a bit of expertise to be properly integrated. So be sure your call recording solution provider can supply you with enough phone support to walk you through the steps. One of the most important things to explore when researching a call recording software solution is the ease of implementation. If your on-call or in-house phone tech can implement a call recording system, how long will the phone lines be down? How complicated is the wiring? And, will the recording software be automated to the point where I do not need to manually watch it every day for it to work? The next consideration is the type of line you are recording. Most systems can record a variety of lines, but some vendors concentrate on a particular type of line…for example, strictly VoIP recording or Analogue recording. Be sure when picking the best recording software there is some flexibility with the type of lines it can record….because things change and you may want to upgrade or change your phone system down the road. Is having the ability to record and tag recordings via individual extensions important to you? Do you just want to record on the trunk side but still limit which type of call is recorded? Some software systems are limited…and some can do all of the above. Be sure to ask and find out details about the call recording system and its limitations. If your needs do change down the road, make sure your recording system can be adjusted without any unforeseen expenses. Setting up and training managers is not only time consuming but costly as well. If the software system is overly complicated you will immediately overwhelm your managers. Their time is already spread thin, requiring them to learn software that splashes unwanted tools or graphs in their face hinders productivity. Some people think the best recording software needs to have graphs and a thousand features built in, but most of the time it comes down to efficiency and user experience. If it took you 30 minutes to explain and train your managers on a call recording software, is that more valuable than having 30 features available that will never be used? 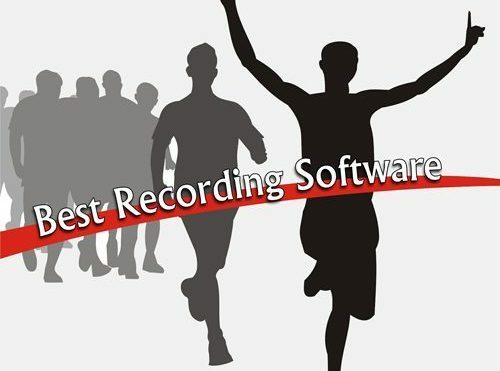 Most businesses want to know what is the best recording software for training purposes. They are either a call center or a customer service department that uses call recording to help train and coach their current and future employees. Make sure the software you are looking at allows you to grade and conduct quality control tests. 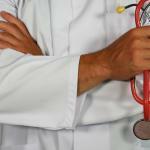 Not only conduct them, but also provide an overall grade for that particular call and that employee. Is the grading report included? or is it an extra fee? How many tests can you have at one time? When looking for the best recording software for your business, be sure to not only look at the features it provides, but also the implementations, integration, training, and any hidden costs for extra features.